Space Jam 2Movie News sonequa martin-green warner bros. 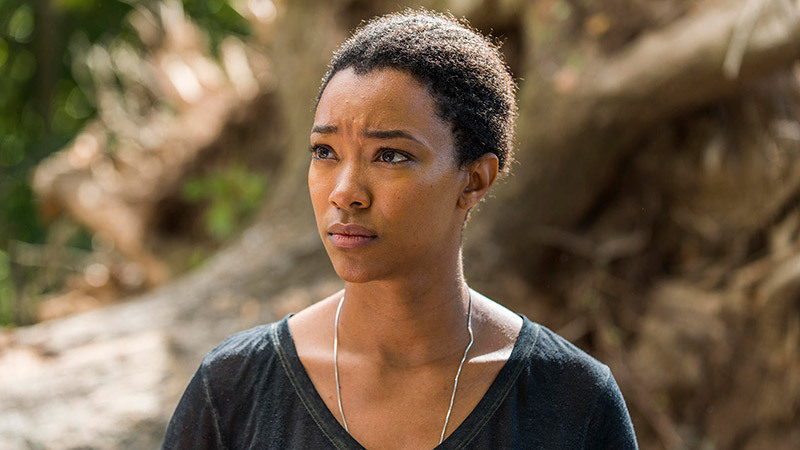 Variety is reporting that The Walking Dead alum Sonequa Martin-Green is in talks to join LeBron James in Warner Bros. Space Jam 2. The outlet is reporting that Martin-Green will play James’ wife in the project. Martin-Green is currently starring in CBS All Access’ Star Trek: Discovery. Her credits also include Once Upon a Time, NYC 22, The Good Wife, and Army Wives. Marin-Green recently wrapped production on the drama The Outside Story, starring alongside Brian Tyree Henry, Sunita Mani, Olivia Edward, and Asia Kate Dillon. RELATED: Space Jam 2 Release Date Set for 2021! Space Jame 2 will star LeBron James instead of Michael Jordan with Black Panther director Ryan Coogler onboard to produce. Terence Nance (Random Acts of Flyness, The Oversimplification of Her Beauty) is set to direct instead of Justin Lin (Fast & Furious franchise) who was one of the directors originally attached to the project. In the original, Michael Jordan teamed up with Looney Tunes characters to battle a group of animated aliens on the court. Space Jam went on to gross $230 million worldwide and besides Jordan, included some of the NBA’s biggest stars like Larry Bird, Charles Barkley, and Patrick Ewing. Bugs Bunny and the Looney Tunes will now team with James on the court to battle an unknown entity. Space Jam 2 will arrive in theaters on July 16, 2021. Production will begin this summer during James’ NBA off-season.